Coolblue is a well-known e-commerce company that operates in the Benelux area. Coolblue primarily focuses on consumer electronics, but the types of products they still becomes increasingly broader. Over the last couple of years, Coolblue has become one of this companies that everyone loves, both from a consumer perspective as from a more business-like perspective. 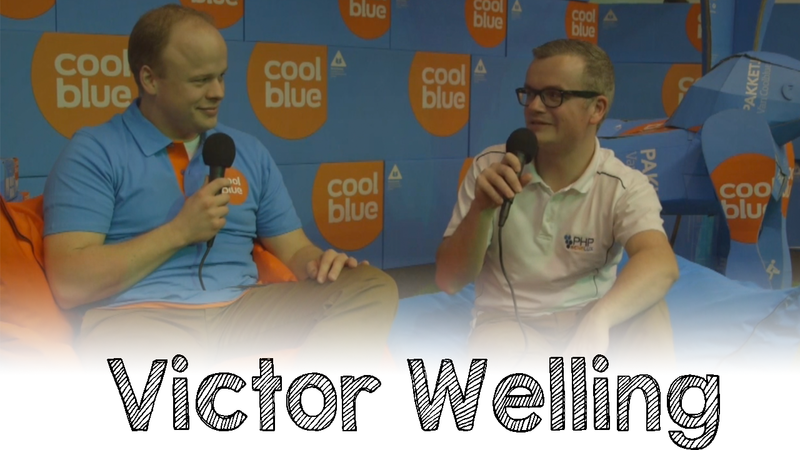 In this interview, I talk to Victor Welling about the magic formula and the Coolblue clame to fame. We also talk tech of course. Victor is a long-time Coolblue employee who has been working there for over 10 years. He’s currently a so-called “Technical Pathfinder” and prior to that he was an developer evangelist, architect and developer. As a Technical Pathfinder, he works with the individual developer teams within Coolblue, helping them with software architecture. His goal is to bring architecture as early to the table as possible, but in a context where every team figures out their own architecture whereas other companies have a single architect for that. In his spare time, Victor enjoys racing cars on the Nürburgring Nordschleife. He also enjoys electronic music: both listening and creating. Victor mentions that Coolblue currently (this interview was recorded in January 2016, keep that in mind) has 1500 employees. 160 of those employees does IT in some shape or form. The goal is to hire another 120 extra developers and other IT people. But Coolblue also has a lot of other types of staff and in total they’re looking to hire another 1000 people. Those are quite staggering numbers! In the interview we also talk about their technical challenges, their technology stack and the tools they are currently looking at. Near the end of the interview we also get to know Victor on a personal level and he talks about his hobbies. Here’s the video that was recorded at PHPBenelux Conference 2016. Coolblue was a the main sponsor at this event and they put a lot of effort in their booth and the typical Coolblue branding. You’ll notice that in the video. As usual, there’s an audio-only version available on both Soundcloud and iTunes. Check it out!